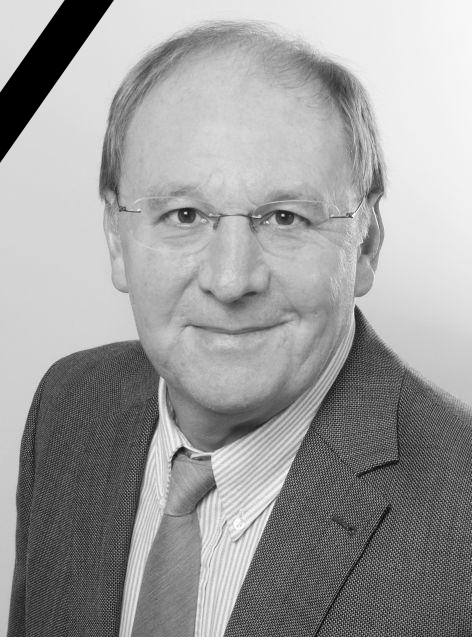 On 9th August 2016, Prof. Dr. Gunter Menz passed away after an accident. Gunter Menz studied geography and mathematics in Freiburg, Germany. He received his PhD degree from the University of Freiburg in 1987 and qualified as a professor in Bonn in 1993. He worked as a professor at the Universities of Mainz and Bonn. An often-mentioned and formative period of his scientific career was the time he spent as a visiting scientist at the University of California in Santa Barbara, USA. In 1996, Gunter became a professor for remote sensing at the University of Jena, Germany. Two years later, in 1998, he became a professor at the University of Bonn where he led the Remote Sensing Research Group (RSRG) at the Department of Geography. Together with two colleagues he founded the interdisciplinary Center for Remote Sensing of Land Surfaces (ZFL) in 2001. From 2001 to 2010, Gunter was ZFL’s spokesman. Africa, in particular East Africa, was always a matter of his heart. He often visited colleagues and friends in the region, raised funds for research projects in Africa, invited African scientists and was an open and committed host to many African students. Gunter was a passionate geographer with heart and soul, driven by curiosity, taking every opportunity to visit unique and remote places and thus broaden his horizon. He was always able to give helpful advice, providing his students with huge freedom to pursue own scientific interests. His calm and friendly nature shaped the lives and careers of so many graduates. We will miss Gunter’s wisdom, his unconventional ideas, his inspiration. In mourning we are grateful for the time we could share with Gunter and will remember him as a close and respected teacher, mentor and dear and valued friend.